Urban Development in Latin America | The Bottom Line "The Drawing Center"
Enrique de la Mora. Elite building, Mexico City, Mexico 1958-59. Perspective Archivo de Arquitectos Mexicanos, Facultad de Arquitectura, Universidad Nacional Autónoma de México. Image courtesy of Museum of Modern Art. 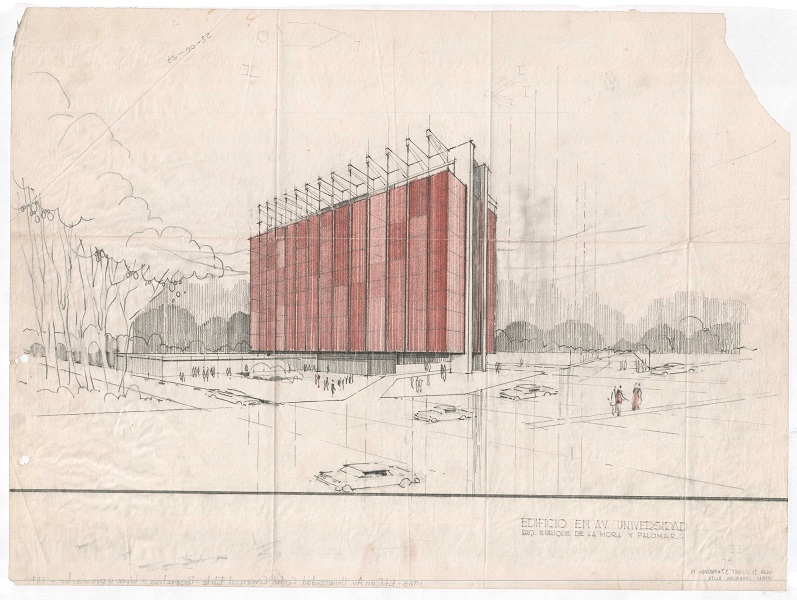 The Museum of Modern Art exhibition Latin America in Construction: Architecture 1955-1980 runs through July 19, 2015. Curated by Barry Bergdoll and Patricio del Real, this exhibition focuses on the shift and transformation of architecture in Latin American countries such as Brazil and Argentina. The exhibition starts off with a road map on the floor that leads the visitors around the room filled with videos that depict life in Latin American cities. Architectural drawings surround the walls and vitrines. Just like the realistic portrayals in the drawings, the space highlights exposed building materials, most notably by the use of exposed metal framing of the gallery wall. Several spaces gives way to plethora of beautiful scaled models of the structures. Getting close and eye level to the models allows visitors to experience movement through the spaces. Installation view of Latin America in Construction: Architecture 1955-1980 at The Museum of Modern Art, New York (March 29-July 19, 2015). The architectural development in Latin America presents key structures that include university campuses and church architecture. Influences from architects such as Frank Lloyd Wright can be seen on the Universidad de Puerto Rico. Additionally, Escuelas Nacionales de Arte provided a venue for nationalistic art to flourish. Some of the proposed plans shown through the architectural drawings—plans, sections, and perspectives—show an ambitious change in design that combines the modern and nationalistic design. Agustín Hernández Navarro implements this mixed design in his proposed design for his studio, which incorporates Pre-Colombian architecture and Post-War architecture. Jesús Tenreiro-Degwitz, Venezuelan Corporation of Guayana (Corporación Venezolana de Guayana) (CVG), 1966. Blueprint. Image courtesy of Museum of Modern Art. The drawings depict a push towards a utilitarian and functional design which can be seen in Juan O’Gorman’s studios designed for Diego Rivera and Frida Kahlo. 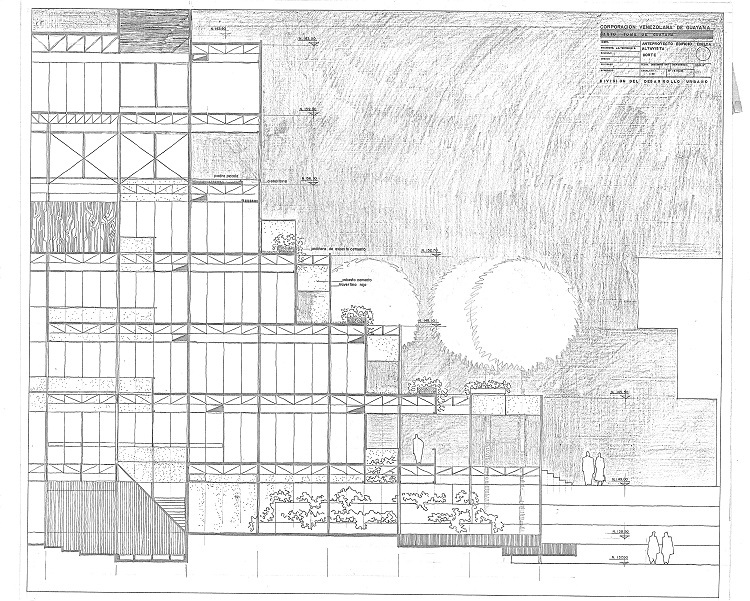 Along with that, the earlier drawings evoke a sense of consciousness to the space that the buildings occupy or to the built environment. In turn, the form of the buildings provides interesting and irregular shapes that conform to the surrounding area such as the Worker’s housing in Rio de Janeiro that was designed by Lúcio Costa. Moreover, all of the drawings portray a heightened attention to detail and craftsmanship, so much so that they read like photographs from afar. 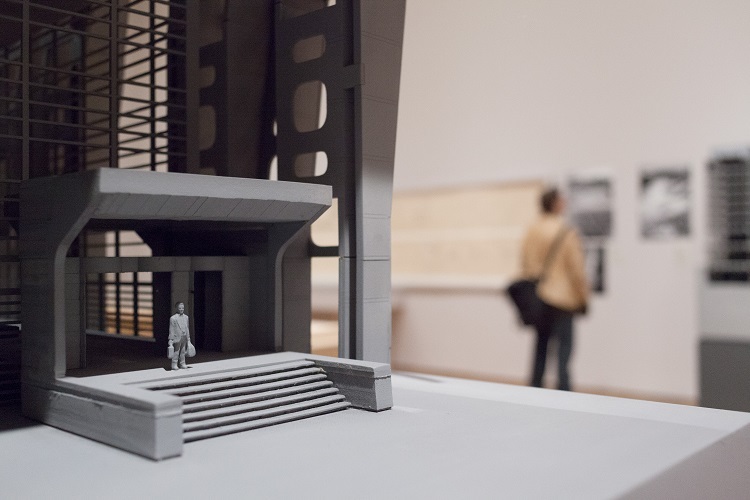 The drawings, along with the scale models, not only provide a blueprint to the construction of the buildings, but also show the shift in power and needs of the people in their contemporary life. Furthermore, this exhibit gives context to the ongoing, whether necessary or forced, change in architecture through anecdotes, film, and especially drawings. Latin America in Construction: Architecture 1955-1980 ends with a photomontage of the architectural structures submitted by the community to showcase the function of the architecture today.